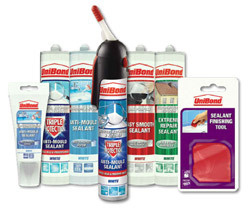 Whether tiling, sealing, sticking or filling, there’s a UniBond product for every room in the house. Don’t bin it. Repair it. 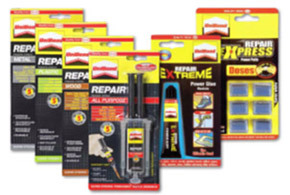 UniBond repair adhesives are easy, fast and precise. 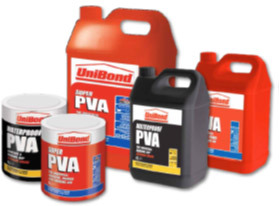 The product performance is everything you would expect from UniBond too; it’s super strong, permanent and can bond, repair and fill a wide variety of materials from cardboard to ceramics. 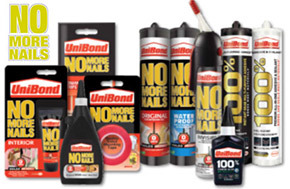 “Just UniBond it!” UniBond is trusted by tradesmen and serious DIY’ers as the original and the best. Whether you are priming, plastering or wood-working, UniBond’s BBA certification proves that UniBond continues to live up to everybody’s expectations. 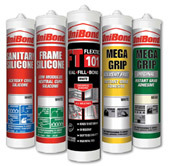 The UniBond Trade range includes a range of specialist sealant and grab adhesive products suitable for most building tasks in and around the home including FT101, a product that seals, fills and bonds most building materials in all weather conditions, even underwater. As the UK’s favourite sealants brand from bathroom to outdoor, UniBond covers all sealing tasks inside and outside the home. With UniBondDIY’ers can benefit from high performance features such as: triple protection, power shower compatible and shower in just one hour. UniBond Tiling is a trusted and reliable range that offers the complete solution to all tiling tasks in the home, from large scale projects to small repair jobs. UniBond innovations include: triple protection anti-mould – repels, kills and lasts. 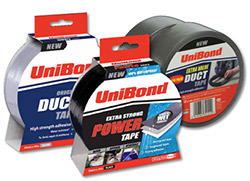 Not just a friend of the DIY’ers, UniBond has been a firm favourite with the Professional tradesmen for years. The brand is trusted to consistently deliver high quality performance – reducing the risk of call backs and unsatisfied customers. UniBond time and time again has been proven to be stronger, tougher, faster and longer lasting. 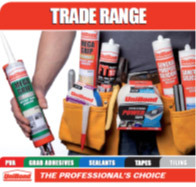 UniBond Tile Fixing and Grouting products enable a quality finish and are suitable for a wide range of tiles, surfaces and environments. UniBond’s range of DIY Tapes are ideal to keep in a kitchen drawer or toolbox, as they provide a quick and convenient solution for a range of situations. Whether you requirUniBond Masking Tape to ensure clean lines whilst painting in your new living room, or you need UniBond Power Tape to reinforce or repair an exterior surface, e.g. repairing a leaking gutter, you need to be certain that it will provide you with a high-quality result that is durable, reliable and professional. UniBond DIY tapes perform on a wide range of materials or surfaces in all types of conditions. UniBond’s Moisture Absorbers help combat unwanted moisture in and around the home. Their Power Tabs use innovative 2in1 technology to absorb excess water vapour and neutralise bad odours, combating condensation, mould and mildew, damp rooms, and the development of dust mites and allergies in the air. Ideal for use in bathrooms, kitchens, garages, wardrobes, caravans, boats and much more.